How to identify the causes for your financial problems? When we have some symptoms like dizziness or headache we are often asked by a doctor to do certain tests like blood test which will tell if the blood has high cholesterol or sugar. Most of the lab reports will show the level of a particular thing like sugar in our blood and against that it will show upto what level it can be considered normal. When it comes to our personal finances also we will get certain symptoms like postponing some loan repayments or insurance premium payments. The credit card balances might have shot up. It is time to do a diagnosis of our finances. First step is to organise your financial information. Write down the details of your income from various sources over a year. Usually people will think about only those incomes which they receive regularly and which are higher. But there could be small and not so frequent income also. For example, income from sale of coconuts from 6 or 7 trees. Next step is to write down all expenses which are regular or one time or happens periodically over a year. These will include your household expenses, travelling expenses, school fees and other costs, salary for servant, cloth and other accessories, vehicle expenses, personal expenses and all kind of expenses except insurance premiums, EMIs and chit payments. Ideally your total expenses should not be more than 35% of your income. If your expenses are between 35% to 45% of your income then you should start monitoring your spending and ensure that your discretionary spending is minimised. If the expenses are more than 45% of your income you should consider bringing it down to desired levels. Next write down your loan repayments. These will include home loans, auto loans, education loans, consumer loans, gold loans, personal loans and chit instalments if chit money is received. All your loan repayments put together should not be more than 35% of the income ideally. If it is between 35% to 50% of your income you should avoid taking further loans. If it is more than 50% of your income it may lead you to borrow further to make loan repayments. In that situation you will have to restructure your loans. There are people who buy lot of life insurance policies as they consider it as an instrument for savings. The main purpose of life insurance is to cover the financial loss arising due to the death of an income earner. Considering the need of liquidity and possible returns, it is better to restrict premiums payments to 10% of the total income. By opting for term life cover and other general insurance covers it is very much possible to do this. If you have total insurance premiums of more than 20% of your total income you may have to consider discontinuing some policies. Last but not the least is about savings. You need money to meet your goals in life like higher education of children, marriage of daughter, house construction and retirement. You should be ideally saving about 35% of your income. In case you have taken a home loan then you should atleast save about 25% of your total income. In case your expenses are high or loan repayments are high it will hugely impact your savings potential. By limiting your cash flows to various purposes, you will able to lead a healthy financial life. The first step towards that is to understand your cash flows and taking necessary steps to restructure them where it is needed. 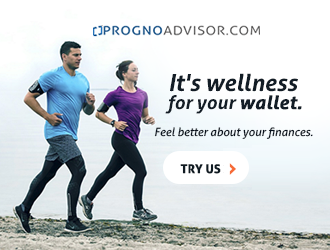 You can do an in-depth diagnosis of your financials by registering with PrognoAdvisor.com. The Financial Diagnosis report of PrognoAdvisor.com is like a MRI scan report. It reveals if you have issues in managing expenses, problems with loans and tells you if you will be able to achieve your goals if you continue like this. It also analyses your investments and insurance. Register today for a Financial Diagnosis and talk to our advisor.